A family friendly weeknight meal. If you have never had a baked taco before, prepare yourself to never go back! The texture of the taco shell- and the melted cheese are to die for. 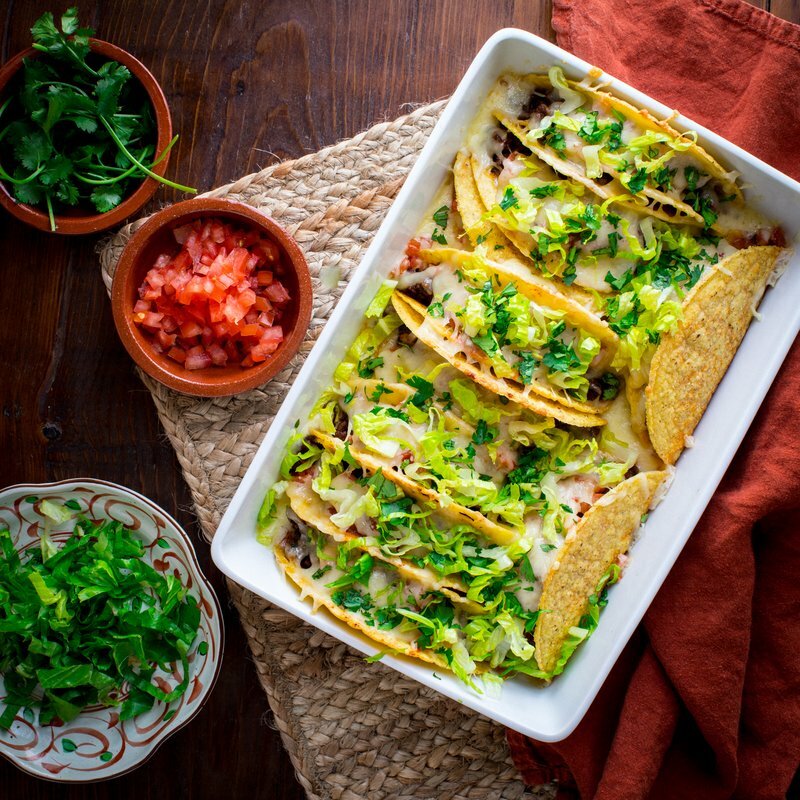 Here’s how to make them...The tacos are assembled with crispy shells, seasoned taco beef, chopped tomatoes, salsa and a generous amount of shredded Cabot Monterey Jack Cheese. Next the tacos are packed into a baking dish and baked to melt the cheese. Top with lettuce and cilantro. Enjoy! PREHEAT oven to 400°F. Line a 9 by 13 baking dish with foil. Mist foil with cooking spray. HEAT oil in a large skillet over high heat. Add beef, and cook, crumbling with a wooden spoon until the beef is browned, and only a small amount of pink remains, 4 to 6 minutes. ADD onion and garlic, and reduce heat to medium. Continue cooking until the beef is completely browned and the onions are soft, 4 to 6 minutes. Add chili powder, cumin, salt and chipotle or cayenne. Cook, stirring until fragrant, about 30 seconds. Add tomato paste, and stir to combine. Add water and bring to a simmer, stirring. STAND taco shells up, side-by-side in the baking dish. Fill each one with the beef mixture, dividing evenly. Top beef with tomatoes and salsa. 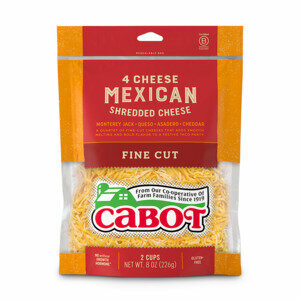 Top with Cabot Monterey Jack (or Cabot Mexican Shredded cheese, dividing evenly. Transfer to the oven and bake until the cheese is melted, 8 to 10 minutes. SERVE tacos hot with lettuce and cilantro.